Ottamax, you have apologised but lost all the trust. I am not sure if it will be business as usual. Your post on social media was so unfortunate. How can you now puport to want to work with the manager you so belittled. Will you be comfortable in his company? @Vincent Owino, that’s a perfect suggestion. Coach must have control over all football matters!! He must decide who to work with be it TB or the playing unit!! He must decide who’s contract is renewed and who’s to be let go!! Ottomax forget it. You are killing the morale of this team. You must be placing Bets and winning. That’s why you want to stay close and manipulate things. Your apology NOT accepted by me. Until you win the title. The only thing the matters is retaining the league IF YOU CAN. Like O.T says how you do it is no longer of interest. The rest are sideshows from the Chairman & EC, TB and some players. Am no longer calling for the ouster of so and so as Chairman or supporting so and so. I will support whoever makes a written commitment to a written yearly performance contract with these minimums. I suggest that from now on members during each AGM MUST commit aspirants to yearly performance contracts or targets. Failure to meet these targets should result in the automatic resignation of officials. 2. GMFC MUST reach at least the semi-final of CECAFA tournaments it participates in. 3. GMFC MUST qualify for the group stages of CAF tournaments. THREE SIMPLE CONDITIONS OR TARGETS IF YOU WANT TO BE A GOR MAHIA OFFICIAL. Those lavish manifestos and promises are just extras. I URGE FANS FOCUS ON THESES MINIMUMS AND TIE EC TO THESE TARGETS THEN THE REST WILL FOLLOWS. I.E GRAND PROJECTS LIKE OWN ETC. ALL THOSE PROMISES THEY GIVE. NOWADAYS FANS HANDS ARE TIED IN THAT WE CAN NO LONGER “CHASE THEM AWAY” SO WE HAVE TO THINK OUTSIDE THE BOX TO TAKE BACK OUR BELOVED CLUB. Now I feel nauseated when I read about the coward turncoats in gor Mahia. Bure kabisa. Kumbe utoto ndio umekithiri hapa Kogallo ama ni uwoga. Ja Asego whats you take in all these from the inner perspective angle that you dwell in? iii] Our prodigal Ottamax returning to the fold, apologizing to the fans then AR unconditionally welcomes him home! All this tom and jerry episode was meant to replace the Nzoia loss from our gullible brains guys. OTTAMAX OWINO i know you very well but let me tell you something, stop behaving like a politician , and stop jokes at Gor Mahia, if you have nothing to do , dont do it at Gor Mahia, learn to solve things diplomatically, aman must learn on how to manage preasure, we expect a lot from the team now that we have sponsors,think a bout the Gor Mahia players a partments, sports house, stadium, good salary and allowances for players and no ping pong game which were used to cover the corruption in the club. @Ja Asego, I had pointed out in a previous post that Gor has flourished for the last many seasons by playing with two defensive minded midfielders. Gatusso/ Teddy, Gatusso/ Kizito, Gatusso Aucho, Aucho/ Wendo etc. Why cant our coach try the same and see if it works. If it does not work with his philosophy he can discard it then. There is no harm in trying. If anything whichever philosophy he adopts, the bottom line is that it should produce results. As it is, his current philosophy is breaking so many hearts. I love Gor so much the anguish I am currently undergoing is indescribable. In fact it is the only team I support after Arsenal proved to me they are no longer interested in trophies. I looked forward to weekends when Gor would play, traveled land and sea to watch my team but lately that anticipation is so gone. May God have mercy on our hapless Kogallo souls. kumbe Jasego coch ya ukweli. Ngato nono nasema tu bila kujua sasa nasagha tena kumbe nawesa kuwa mgaga akinni tibim. Kumbengato nono nafikir tu naona tu ati Jasego coch halaf ni kweli. Sasa Musyom Omin pia tajitambulise kama yeye pia nasasomea coch. Othews no wards. Things hevy in gor. God to help them. Ja’sego, Ja’sego I’m telling you for free with 100% certainity. 1)This bloated EC will not produce any independent audited accounts! NEVER HAS & NEVER WILL! 2) With the “war chest” built up from gate collection etc be certain that unless geniune members turn out in adequate numbers “paid members” will be brought in to ensure some seats are not lost. Hence my suggestion the AGM commits each aspirant / official to a WRITTEN yearly signed performance contract that every year the EC must individually and collectively ensure that GMFC MUST 1) QUALIFY FOR A CONTINENTAL TOURNAMENT 2) REACH AT LEAST THE SEMI-FINAL OF CECAFA TOURNAMENT WE PARTICIPATE IN 3) REACH THE GROUP STAGES OR 3RD ROUND OF CAF TOURNAMENT WE PARTICIPATE IN. We hire coaches yearly the same can apply to EC.Gor Mahia is a football club so we must PUT football targets/achievements first. If officials / aspirants can’t commit to these minimums then what do they want in GMFC, ENRICH THEMSELVES? These targets will then trickle down to TB, players etc. Okewkanango and your friend Collins , give us your humorous views so that we laugh abit when things are elephant as they are now. Ze maria, please do the honorable thing and resign…please. have some dignity. Resign as early as yesterday. Omera thank for kufikir sisi. Wechego pek sisi sasaa naweka tu eyes. Tena napima vile opepo naruka. watu ya Lejo Maria wangeomba kwa gor lakini hata ao napigana huko god kwer. Nangangana kuhus mawamama. Mungu menyewe sasa sii aruke hapa gor asaidie kutoka ju binguni.Si ndiyo. Look here guys, this is dumbfounding… the Luos have a saying that goes, ‘kitimi maber to itimi ne in, kaitimo marach ti itimo ne in’. Look below. Barding wins the schools ‘CECAFA’ football tournament without conceding a single goal. Does Gor need to look any further for future/current players? Bar Ding juu. 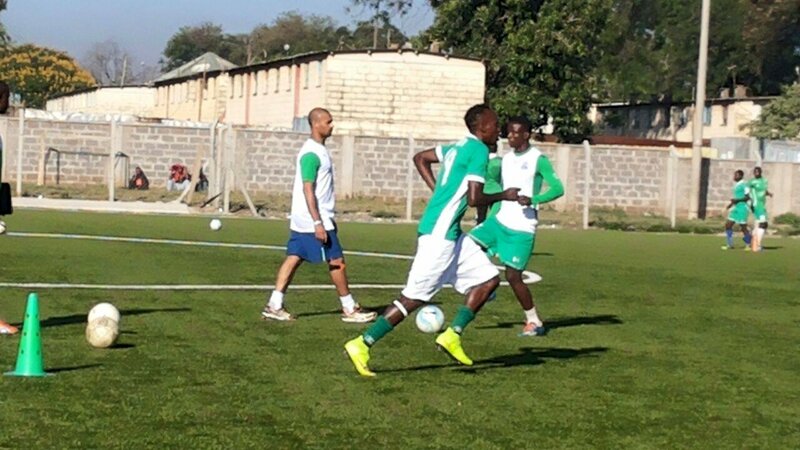 Gor wafanye scouting huko. Pole sana kwa nyinyi.Mandiko ingine napotea halaf narudi tena. Hata jina sijui kufinya nini lakini sisi nashategeneeza. Gigi sumbua wiya thoo. Othrwis Tibim.